In 2011, a chance conversation with a stranger on a train led to a question – what do you love to do? After replying that it was to sing and dance Paula realised that she did neither and needed that in her life. At the time she was working within the Early Years Sector, training staff and encouraging parents to sing and read with their babies – vital for bonding and early language development – but she was not doing the very things that made her happy. That same day the first advert for Got 2 Sing Stourbridge appeared. Her sister saw it and sent her Beth’s number. One phone call later and her life was changed forever! 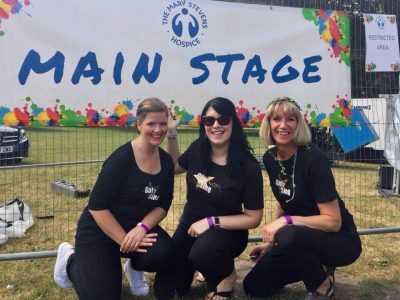 Now as Choir Manager, Paula’s passion is to encourage more people to find the joy that Got 2 Sing Choir brings to life, either as a member or as a choir leader. With a science degree, years working in areas as diverse as research, sales and running baby music groups, she has many skills and works behind the scenes to support the directors and choir leaders in all aspects of running Got 2 Sing Choir – from helping people find their local Got 2 Sing choir, finding great sing-out opportunities to finding new choir leaders and helping to launch new choirs.